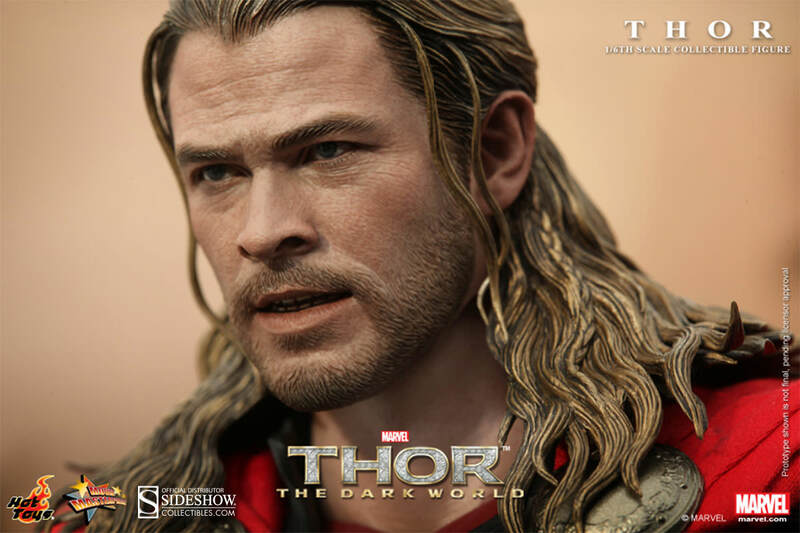 Sideshow Collectibles and Hot Toys are proud to present the Thor Sixth Scale Collectible Figure in celebration of the highly anticipated film Thor: The Dark World! 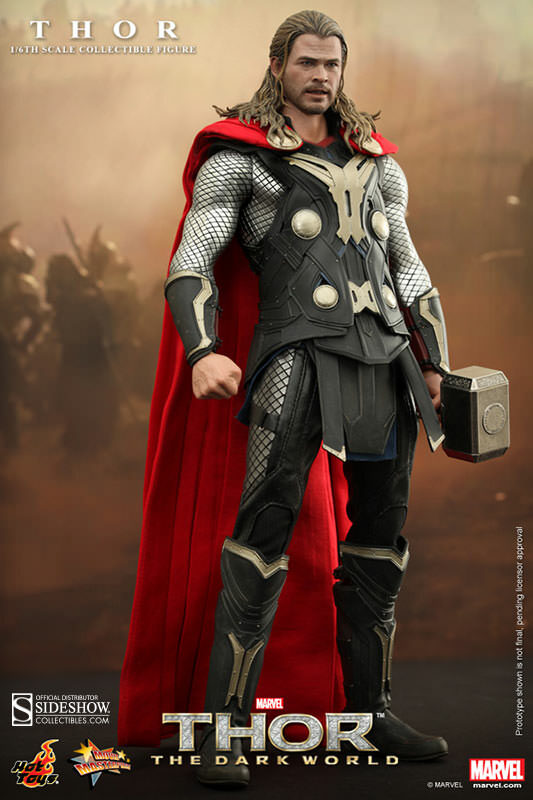 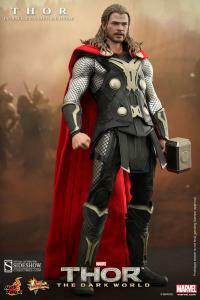 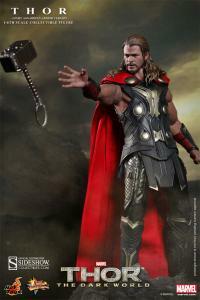 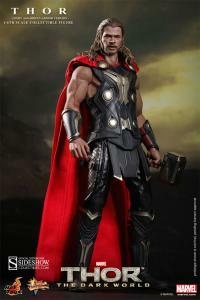 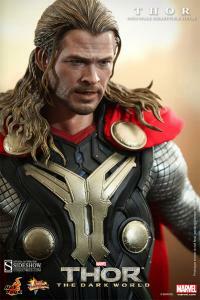 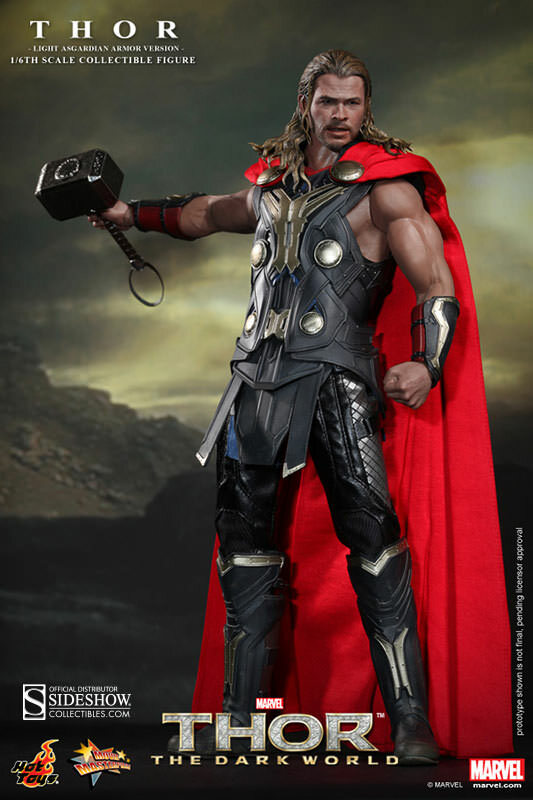 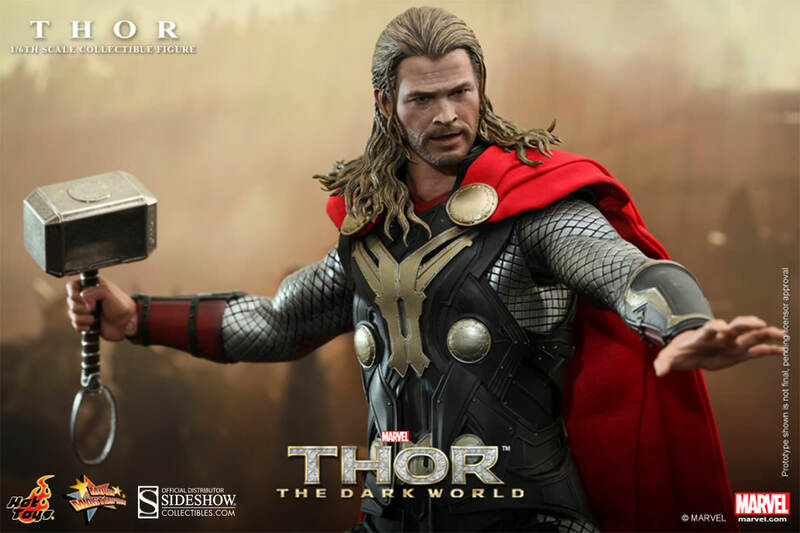 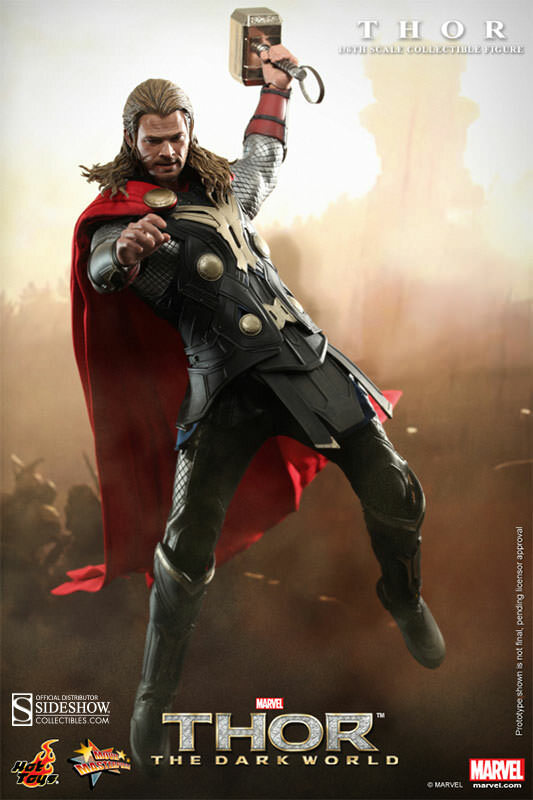 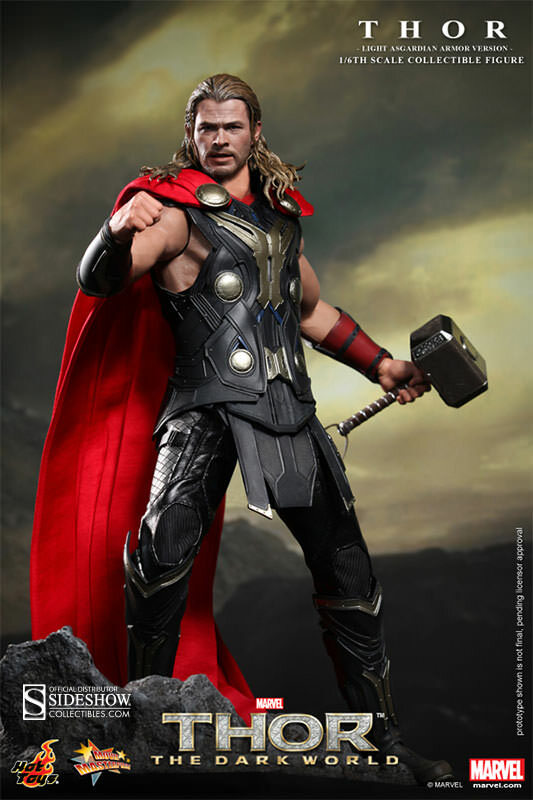 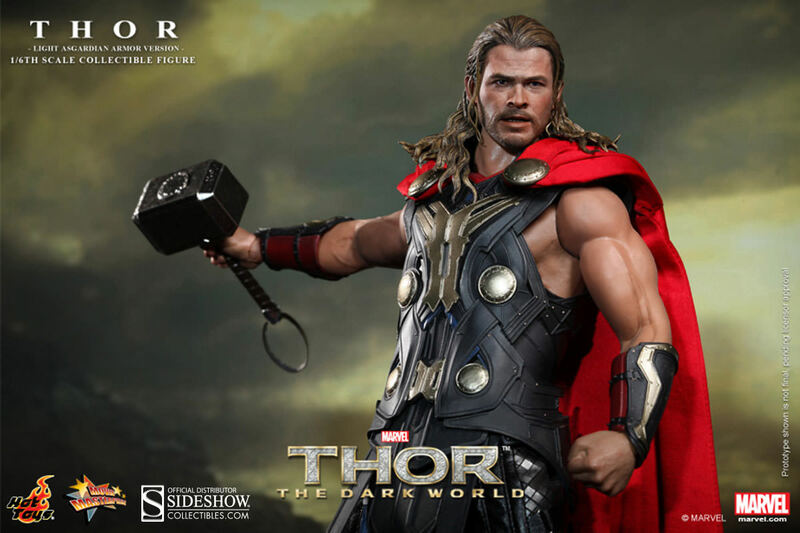 The movie-accurate collectible is specially crafted on the image of Chris Hemsworth as the mighty son of Asgard and features a newly developed head sculpt, muscular body, highly detailed costume, weapon, and accessories. 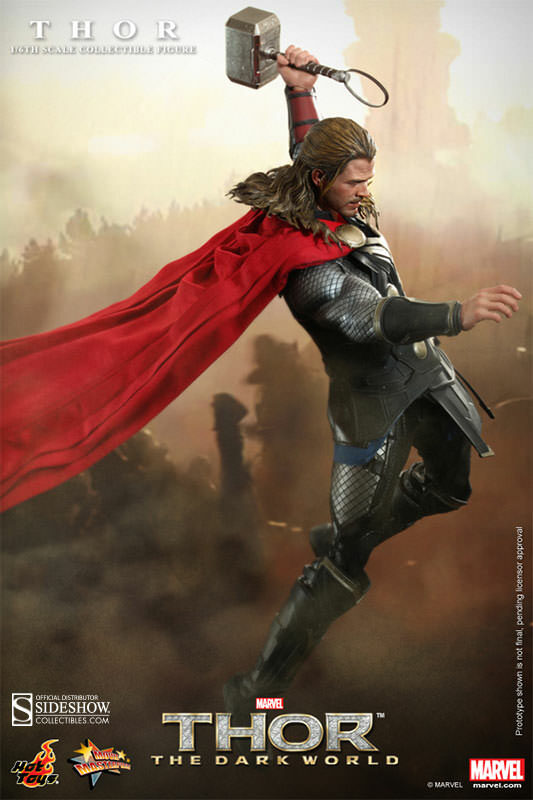 Sideshow Collectibles and Hot Toys are proud to present the Thor - Asgardian Light Armor Version Sixth Scale Collectible Figure in celebration of the highly anticipated film Thor: The Dark World! 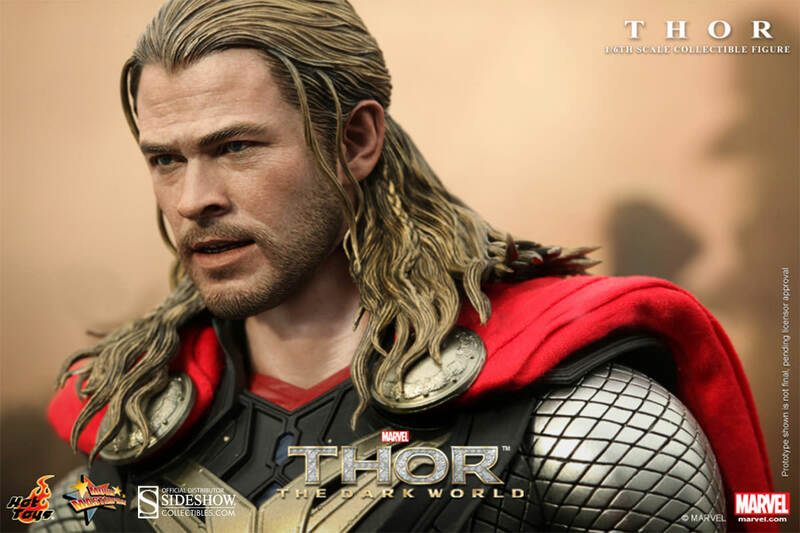 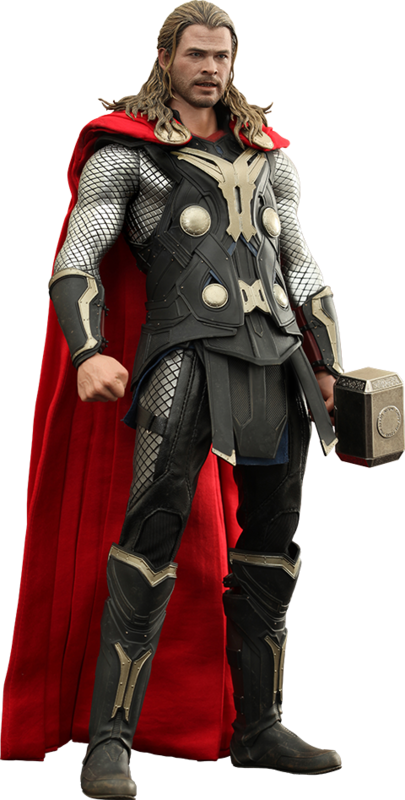 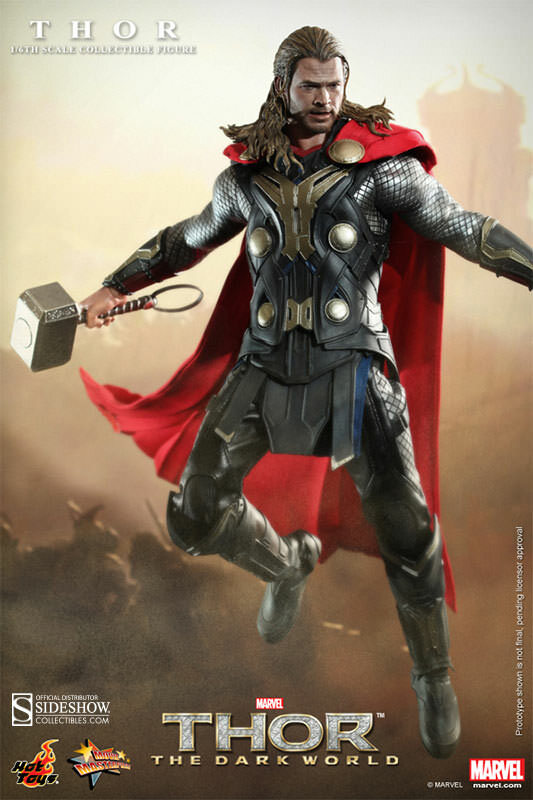 The movie-accurate collectible is specially crafted on the image of chris Hemsworth as the mighty son of Asgard and features a newly develped head sculpt, muscular body, hightly detailed costume, weapon, and accessores. 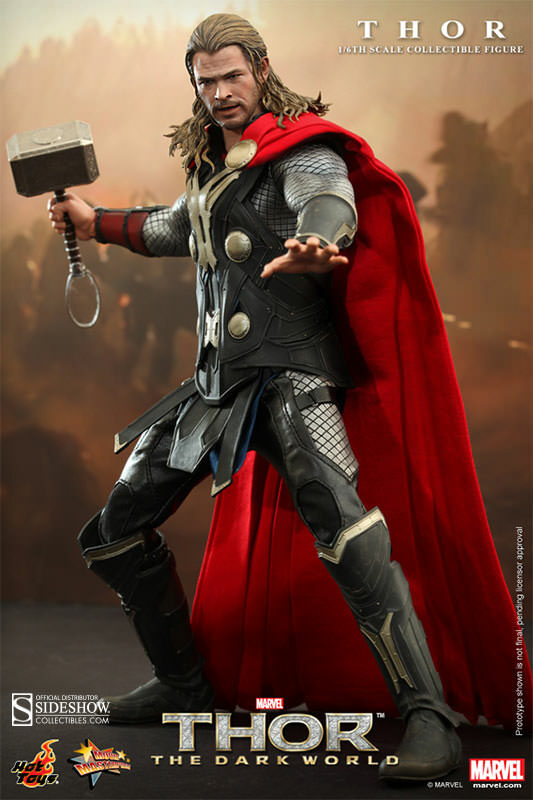 One of my favorite comic heroes of all time. 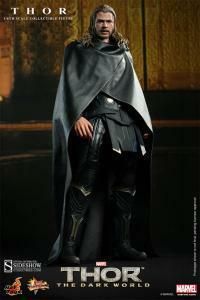 This is my second 1:6 scale and I am liking them more and more after each purchase. 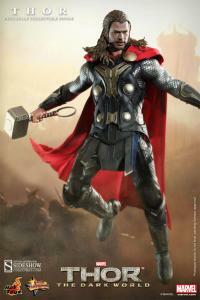 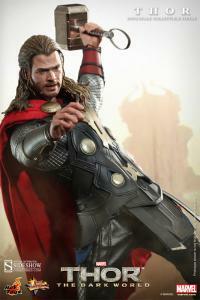 The attention to detail is awesome on Thor to really resemble Chris Hemsworth in the movie. 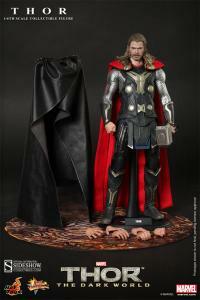 The likeness and detail on this figure is simply stunning! 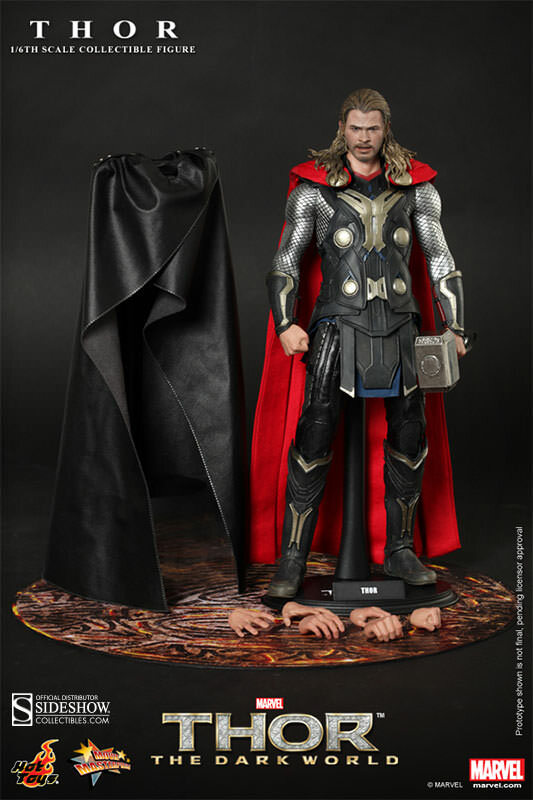 Very articulated, this is a must have for any fan! 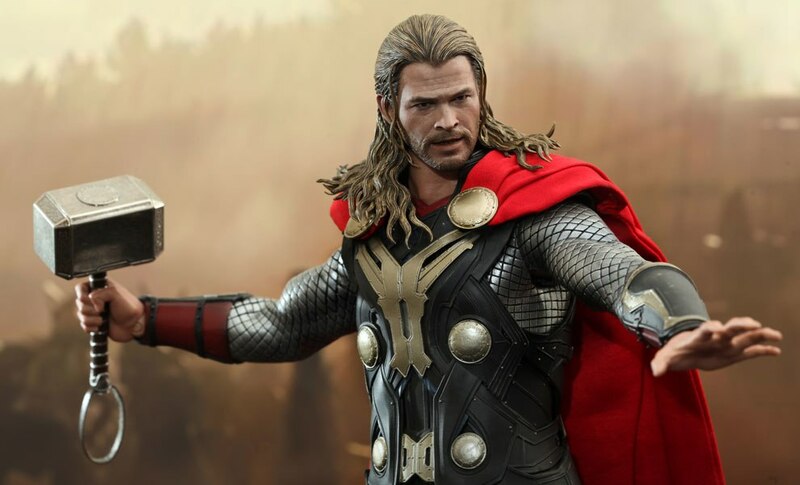 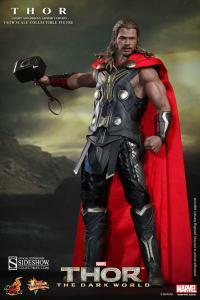 Its the best Thor figure on the market. 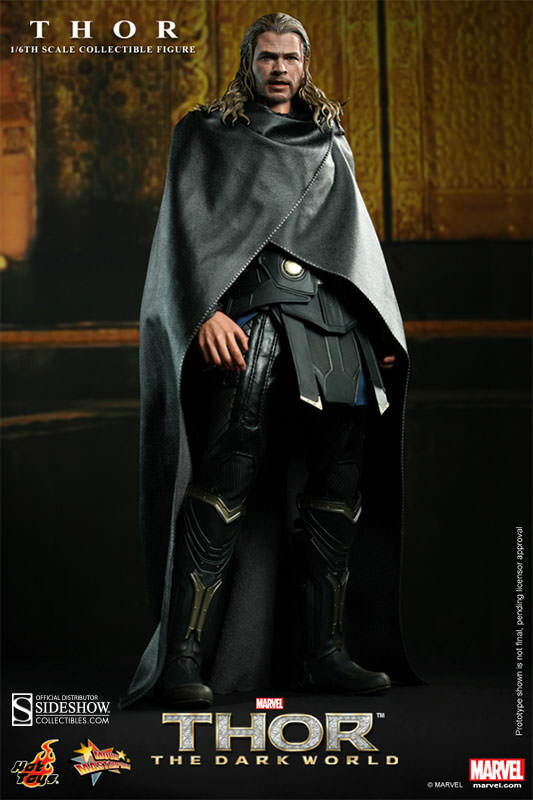 It looks amazing with the Loki figure. 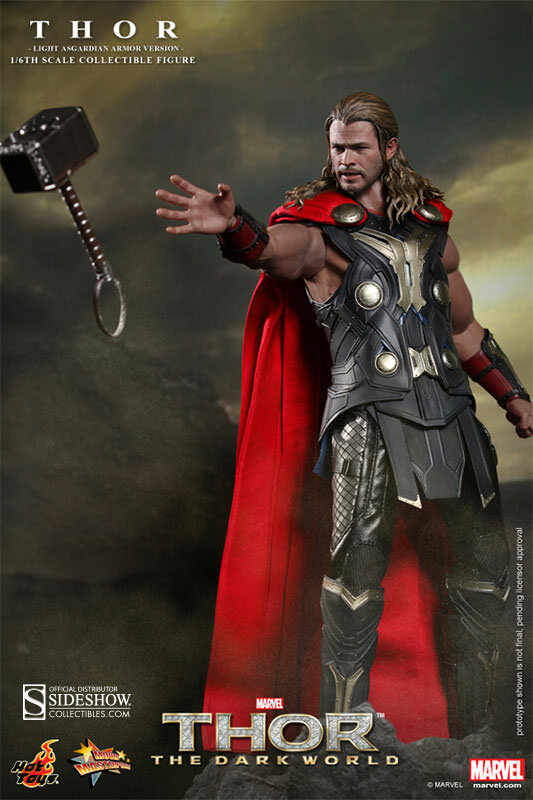 If you are a Thor fan this is a must by. 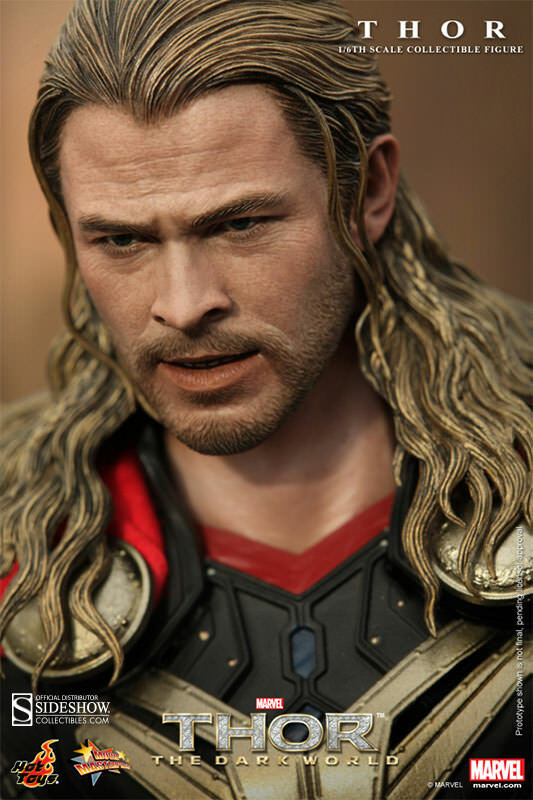 The likeness of this figure to Hemsworth is amazing.